Anyone who’s been to Europe knows how easy it is to fall in love with the cities there. Sometimes all it takes is a park-side espresso, a vista from a historic landmark, or even just the way the city moves and its people bustle. 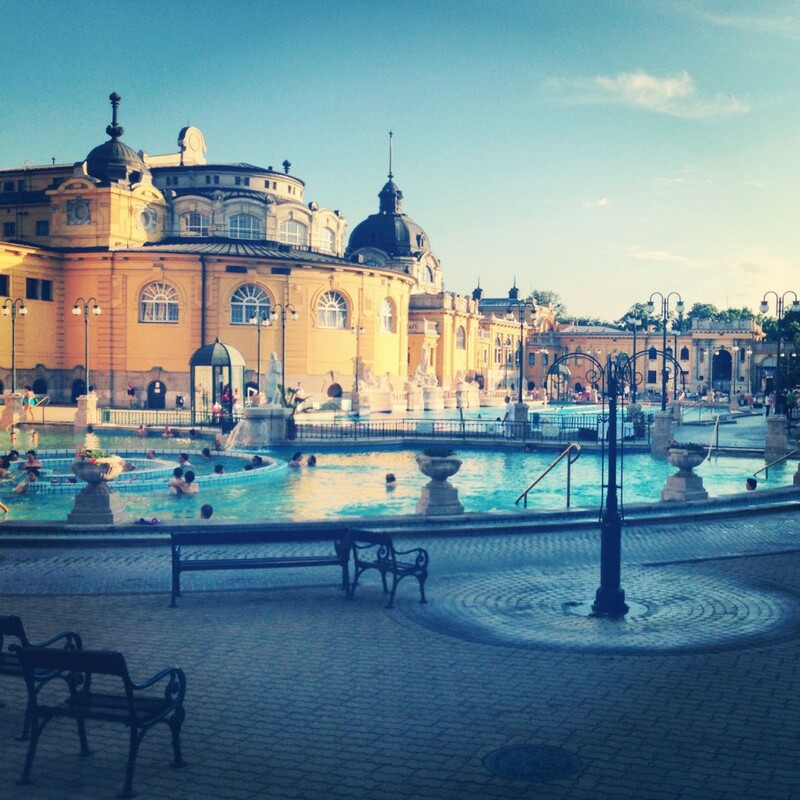 For me and Budapest, all it took was an audience, a kebab, a train ride, and a bath. This might sound strange, but having a real brush with the culture of a place and its people always leaves a great and lasting impression. 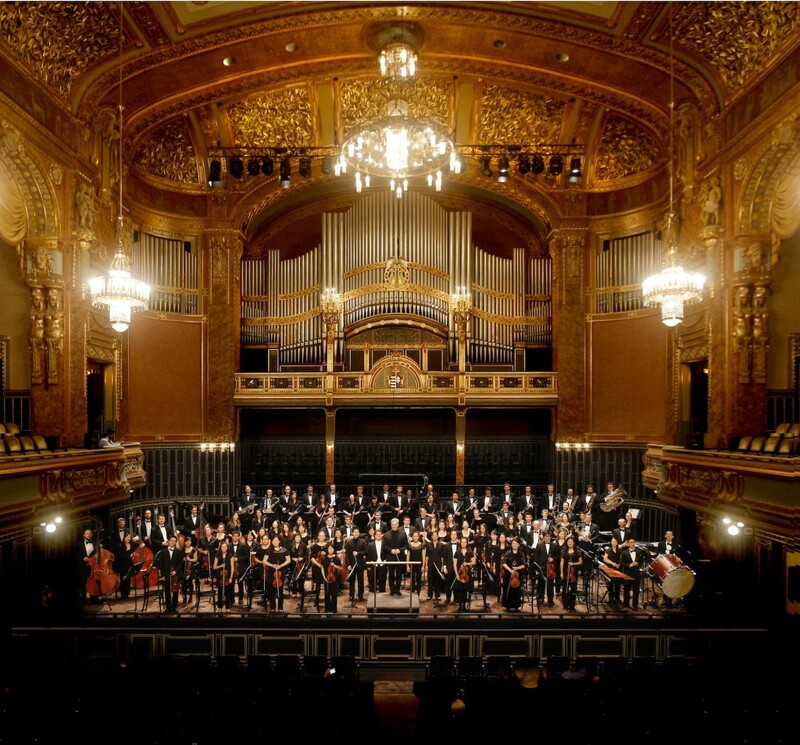 The UC Berkeley Symphony Orchestra performed in the Liszt Academy of Music to a raucously appreciative audience. By all accounts it was an amazing concert, both personally and for the ensemble. For the first time in four performances, I managed to play the infamous horn solo in Shostakovich Symphony No. 10 without nick or blemish. The audience was appropriately thankful and called the orchestra back to its feet for no less than three encores. That kind of experience instills a rare sense of pride of accomplishment, comraderie, and pins a unique memory in time. This being the final performance of the tour, the orchestra was elated and found its way to high spirits after the show. The following morning was our only day of sightseeing in Budapest. My small group of friends collected in the lobby and conspired to visit the famous Széchenyi public baths to restore our minds and bodies after such a physically taxing tour and previous evening. But before we could make it to the baths, we needed to find some food along the way. This being Europe – and deep within Eastern Europe at that – we figured a kebab was in order. No one in our group spoke Hungarian, but we had the great luck of meeting a friendly local who navigated us through the process of ordering. She was so friendly that she even helped us pick out side dishes and then she said goodbye after she had finished eating. In order to make it to Széchenyi, we took the public metro. We all knew that the city of Budapest had a special relationship with music and had a special love for its musicians and composers. It still took by surprise however when we came upon the metro stop Kodály körönd, named for the famous composer and pedagogue. The very fact that Budapest holds its composers in such reverence to call place names after them cemented my love of the city. The baths themselves were a beautiful set of buildings surrounding a central trio of heated pools ringed with ionic columns painted a Mediterranean yellow. Deciding to soak up as much local culture as possible, we decided to brave the hottest dry sauna any of us had ever seen. The act of breathing became an arduous task and an act of willpower to continue to pull air into our lungs. However, it worked wonders for our states of mind, and we had a couple shared looks of glorious agony with strangers and locals. Hungarians apparently don’t do things in moderation or by short measures. Following the hottest sauna that the human body can withstand, there is a simple bucket filled with ice water to cool the body back down. This came as such a shock to me that I actually yelped out in surprise completely involuntarily. Beyond the sauna, there were dozens upon dozens of baths filled with all sorts of different minerals or acidity levels in order to cleanse and rejuvenate the body. And the whirlpool in the dead middle of the complex was quite a blast as well. I will most assuredly find my way back to Hungary and will attempt to relive my brief encounters with its culture. 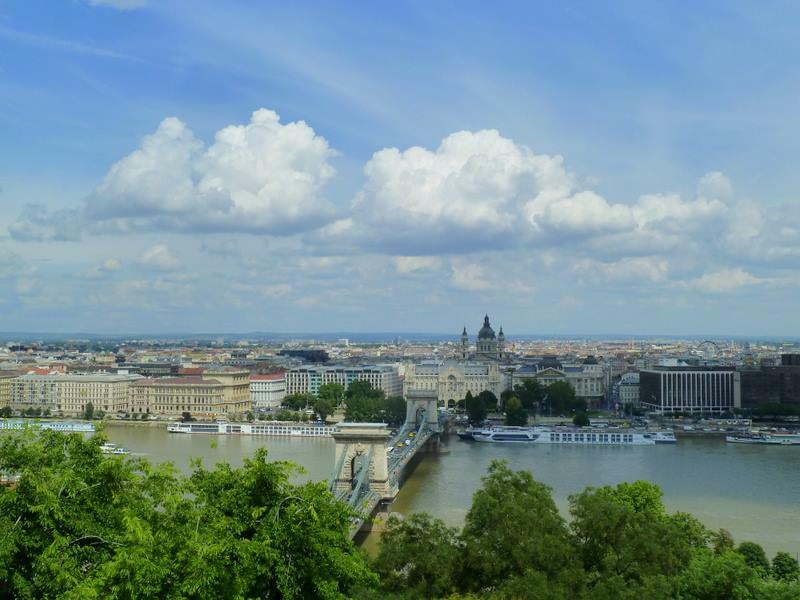 From friendly assistance from strangers, to a shared love of music, composers, and taking small pleasures in life, I often find my mind dwelling in Budapest and longing to return. It’s always the small things in life that make you appreciate a place or a culture. For me and Budapest, all it took was a concert, a meal, a subway and a bath. For weeks after I returned from Europe, the last tantalizing dregs of wanderlust manifested as a stubborn twinge in my muscles, urging me to move, experience, see, and absorb. On tour, there was always the thrilling promise of movement, of finding new, exciting things to do and see when we weren’t playing music. The moments I think about the most, however, are the quiet ones where I discovered silence and beauty in unexpected places. 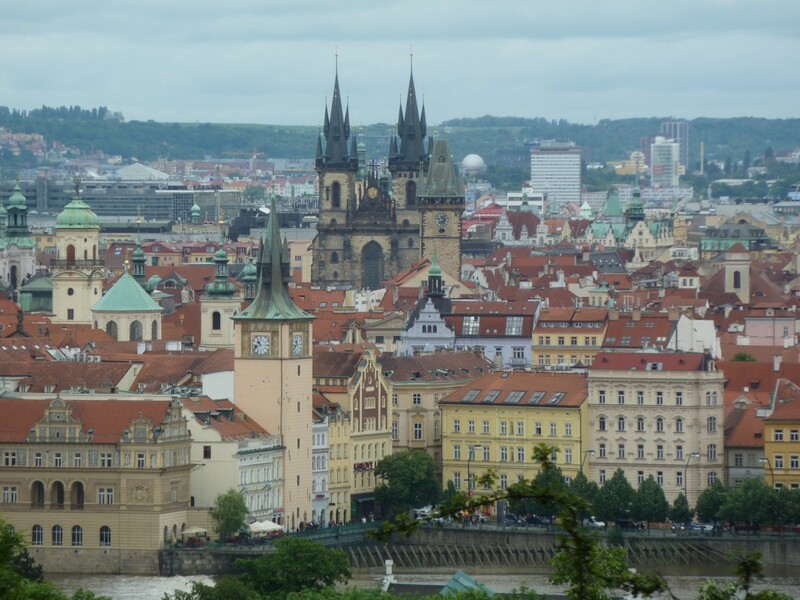 Upon arriving in beautiful Prague, I decided that I would make memories apart from those told in photographs, so I focused on experiencing each passing moment to its fullest extent. Caught up in the ensuing whirlwind of sights, sounds, and colors, I lost myself in the rain-slicked, cobblestoned paths that wound tightly through the hills and back down to the castle. 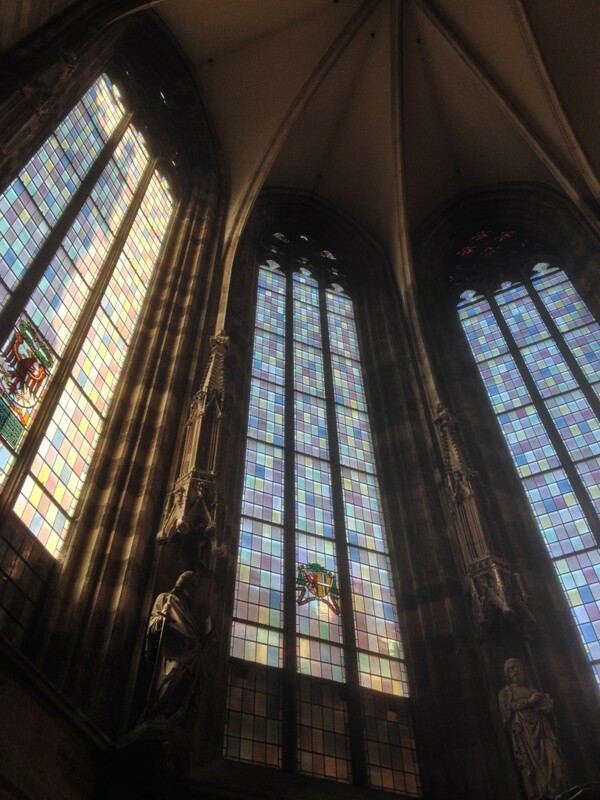 I found silence in the vast stained glass windows of St. Vitus Cathedral that filtered jewel-colored light; in the rhythmic drone of rain on my umbrella as I took in and memorized sweeping views of red-tiled roofs; in my incessant footsteps as I walked swiftly past street musicians and pastel-colored shops, dodging slow-moving tourists. I was racing time because there was so little of it. In Vienna, we visited the expansive Zentralfriedhof, final resting place of musical giants Ludwig Van Beethoven, Franz Schubert, and Johannes Brahms. I was filled with a quiet gratitude as I thought about what their music had done for me over the years, lifting me out of the deepest of ruts, giving me space to grow and to be larger than myself. I meandered between rows of elaborate tombstones, reading names and wondering about the stories attached to them. The solemn, windswept silence was broken only by the soft pad of my footsteps. 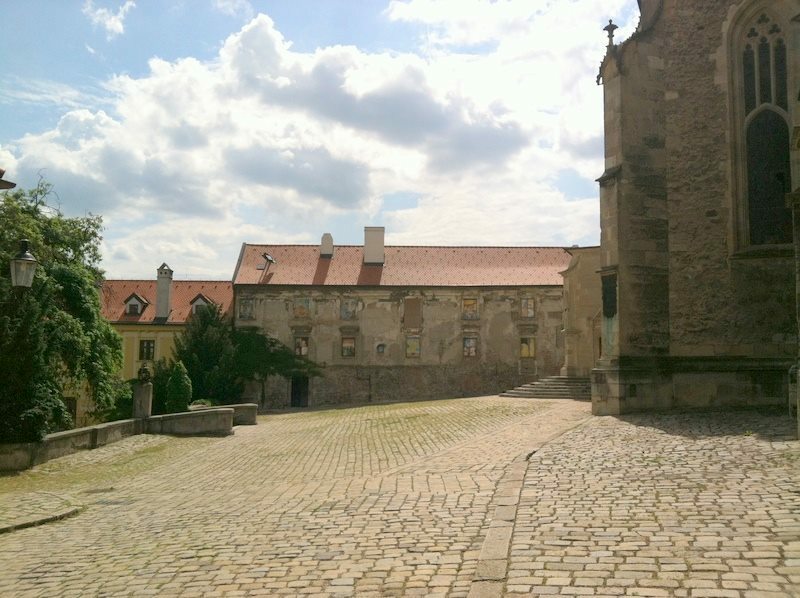 I fell hard and fast for Bratislava, despite the short duration of our stay. I explored alone in the afternoon, wandering aimlessly through the narrow winding streets, stumbling over uneven cobblestones, feeling the soft sunlight glowing on my skin, peering around the corners of time-worn buildings. I found beauty in its flaws: the way the brick peeked out beneath the paint, the way the doors hung on rusty hinges, the way weeds grew in every nook and cranny. It was beautiful in its brokenness. A quiet sort of beauty. When I returned at night with friends, the quaint warmth I had felt earlier was gone, snuffed out by the dark. The streets were deserted and the broken doors gaped crookedly. We drank in the silence, watching smudgy bats wheel about the illuminated steeple of a church. During our last afternoon in Budapest, I sat idly on the banks of the Danube River with a friend, watching light dance across the rippled surface of the water. The silence after our final performance had been short-lived and bittersweet. After we played our encores, the energetic audience began its rhythmic cycles of synchronized clapping. I couldn’t seem to wipe a wide, silly smile off of my face, especially during our liveliest rendition yet of Gershwin’s “American in Paris.” We were all undoubtedly exhausted from full days of adventures and music-making, but we somehow managed to pour every remaining ounce of our energy into a truly compelling and memorable performance. At night, some of us chose to walk along the river on our way back to the hotel. Dark water churned somewhere beneath our feet, teeming with electric squiggles of light. It was difficult to say goodbye, but the silence of those moments was unforgettable. After the last rapturous chord of Saint-Saëns’ Organ Symphony finally ceased ringing throughout the glorious Saint Stephen’s Cathedral, the audience erupted in applause. Or at least I figured they did. The orchestra’s location against the wall off to the side of the altar, paired with the great stone pillars and magnificently massive organ obstructing my view, made it difficult to tell if our viewers liked us or not, or whether there were many viewers at all. (When you sit in the back of the orchestra, you accept the fact that you’ll miss a thing or two.) The immense 12th century structure aided my worries by dissipating any sound of applause beyond the front row, although they seemed to be quite pleased. What could have been a thunderstorm of claps was reduced to a light drizzle, but that didn’t stop us from glowing with pride and awe. The sprinkle of applause persisted after we had performed our encores, Rossini’s “Barber of Seville” and Elgar’s “Nimrod.” It came to our attention that the sprinkling would not stop until we exited their line of sight (at least for those in the karten mit sicht, meaning the seats where we were visible). Row by row we began our procession toward the back room, but to our surprise we did not leave unattended! Lining our path stood our grateful viewers as we paraded through to a true downpour of applause! My worries were no more! Unlike the hallowed echoing chamber of Saint Stephen’s, the gorgeous golden Liszt Academy was comparatively compact, and this time we were center stage. A full house of eyes anxiously looked on from all sides as we came to an energetic finish to Shostakovich’s 10th Symphony, marking the official end of our European performances. This time, the applause was unmistakable. Even more so, the applause was unforgettable. It began as any other American audience would have reacted, clapping vivaciously in joyous discord. There were a few noticeable differences, however. First, there was no shouting. No hooting and hollering. Only clapping. Second, there was no standing. Our audience was seated, silent, and clapping. How on earth were we to know that they liked us then? As if out of nowhere, the fury of applause was simultaneously joined into single giant claps. Perfect unison. Perfect time. Synchronized. Clap. Clap. Clap. Clap. Clap. Claps so steady they would put clocks to shame. And if they ever did speed up, they would eventually be halved back to the initial rock-like pace. A metronome of hundreds. It was incredible. It was breathtaking. It felt as if we were in the middle of some kind of ritual, with us as the sacrifice. The chant would only cease if we started playing again. But even after barreling through both our encores and bidding final farewell by reperforming the end of Gershwin’s An American in Paris (and nearly grooving my chair into a gap in the stage and falling over), the chant. Would return. And wouldn’t. Stop. Maestro Milnes attempted leaving the stage and coming back, but they wouldn’t have it. He tried reacknowledging the soloists, but they wouldn’t have it. He even had us stand up one at a time in a giant wave (in time to our metronome, of course), but they still wouldn’t have it. By this point we realized, we could be here all night! With a wave of the hand, we hurriedly filed off stage. At long last, after what felt like an eternity, our metronome shut off. What a rush! It was as if we were rock stars, hiding from a crowd that would beg for more until the sun came up. For the remainder of our tour, “the clap” became a staple for all orchestra-related gatherings, although we could’ve used a lesson or two from our Hungarian counterparts. Our tram came to a stop at Grinzing, the end of the line, far into the northwestern part of Vienna. 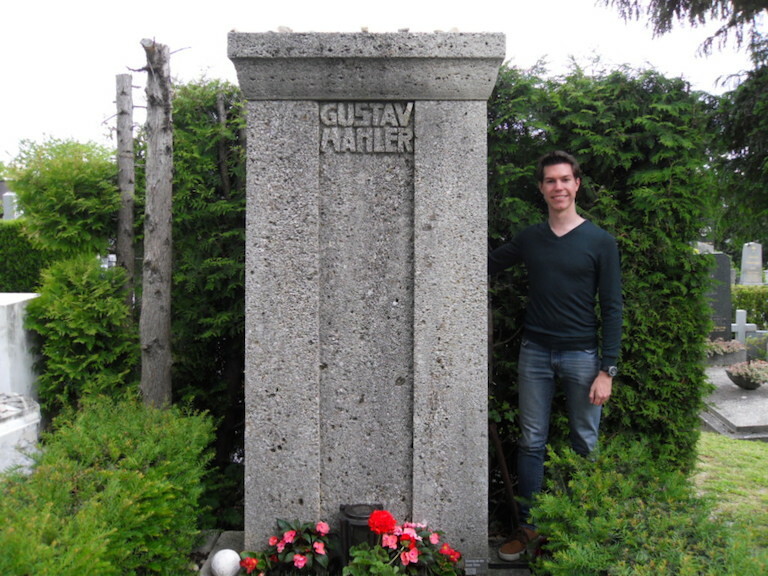 The four of us, three trumpets and a trombone, were on a mission: Before we could leave Austria, we needed to visit the grave of Gustav Mahler. For many brass players, Mahler is king. To perform one of his symphonies is to brave a musical gauntlet; a test of power, endurance, and will. From the robust chorales of the Second Symphony to the fiery themes of the Fifth to the epic beauty of the Ninth, the brass test their metal in the forge of Mahler’s genius. For any young aspiring brass player, Mahler symphonies are a rite of passage to becoming a true man or woman of music. Thus, we live and die for him. We had little to go on save a map with a few circles inked onto it and my word. I inquired at the front desk of our hotel where he might be located. The desk clerk conducted some research and made the necessary markings on my map. It was strange to me that his whereabouts were not more readily available. After all, this was the music capital of the world. Nonetheless, knowing our scavenger hunt would end with a great treasure made it worth our while. Our pilgrimage began with a trek through intermittent rain from the city center to the tram station. We were losing hope as the unexpectedly long walk and unanticipated drizzles ate at our morale. But with our hearts set, we persevered and made it on our tram. The previous day, upon arrival in Vienna, we had visited Zentralfriedhof, the central cemetery, resting place to some of the greatest composers who ever lived. We were awestruck standing at the graves of Johann Strauss, Beethoven, Schubert, and Brahms. Their tombstones were ornately carved and laden with flowers. A large marble cube fittingly marked the grave of Arnold Schönberg. György Ligeti’s grave was a simple etched glass headstone, also very characteristic of his style. As I sat on the line 38 tram, I couldn’t help but wonder what kind of elaborate and poignant structure epitomized our mighty Mahler. At last, we disembarked the tram and began the final push to Grinzinger Friedhof. Thankfully the rain had subsided for our journey on foot. No signs guided us through the quiet residential streets, but after venturing through a grassy alley, only a modest open gate stood between us and the cemetery. The cemetery was desolate too; not even a security guard at the entrance. It was dead silent with the exception of our feet on the gravel. We located a map and identified the block our hero resided in. Our hunt was coming to an end. Now we need only spot him. With eager steps, we scoured the cemetery block. My eyes darted from name to name on beautiful marble headstones hoping to see his in its elaborate glory. In my haste, I nearly missed it. But once I set my sights on it, I stopped dead in my tracks. There he was. No ornately carved marble. No field of flowers at his feet. Before me was a single giant slab. A pillar of dark, coarse rock. A monolith. And across the top in bold: GUSTAV MAHLER. It was so simple. It was perfect. The four of us stood in awe at the spectacle. A simple, massive stone. A small grass plot. A few meek flowers strewn around an unlit lantern. We expected more, but it was still such a statement. Once all necessary photos were taken, we decided to honor him with some of his music. One of our travelers took out his tablet and put on perhaps the greatest Mahler moment in his arsenal: the finale of the Second Symphony. While the grandeur of the strings and brass and chorus filled the still Vienna air, we looked on in respect and adulation at the master’s feet. And to our surprise, the rain returned. And the wind picked up. And the more intense the music became, the more intensely the rain poured downed on us until we found ourselves in the middle of our own personal storm. The spirit of Mahler was stirring! When our recording reached its end, the weather returned to its placid state. We were dumbfounded and slightly scared. Perhaps it was chance, but we were convinced we shared a moment with Mahler in that peaceful Viennese cemetery. We bought some flowers and set them at his grave as a small symbol of our gratitude. After a few more minutes of reflection, we paid our respects and began our journey home. It was an adventure we’re sure never to forget. In May and June of this year I was privileged to participate in the UCBSO’s inaugural international tour of Prague, Vienna, Bratislava, and Budapest, a long held dream of mine and my friends since I joined the orchestra in 2007. 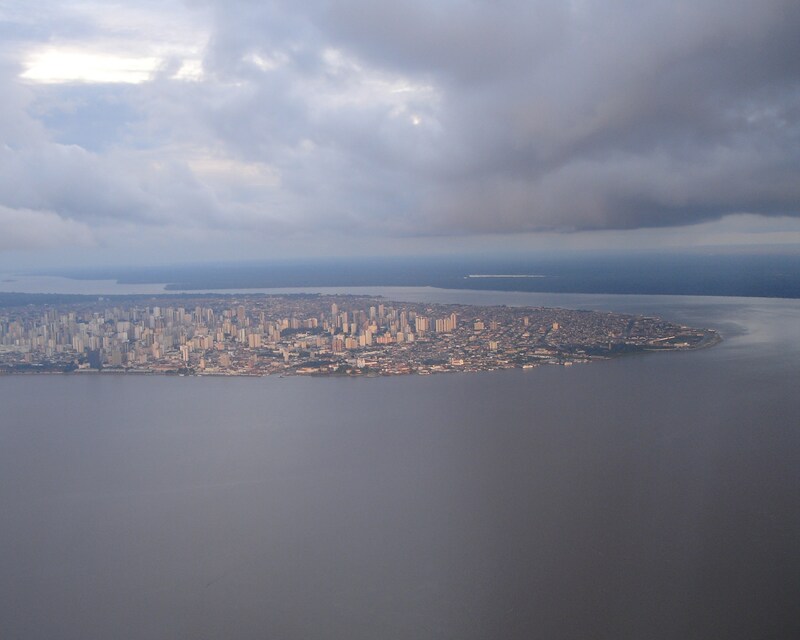 But I took a unique route in getting there: via Belém, Brazil, where I was similarly privileged to participate in Amazonicas V, a biennial conference on the languages, peoples, and history of Amazonia. Unfortunately this meant that I was absent for the orchestra’s time in Prague; however, the juxtaposition of these two events was a special moment for me, reminding me of how lucky I am (and of how important it is) to be able to fulfill complementary – although perhaps seemingly unrelated – passions simultaneously. This is certainly a hallmark of the UCBSO: some of my friends here are also biologists, chemists, computer scientists, historians, literary scholars… and they actually practice this stuff. They, like, actually bind toxic metals and go to archives and stuff! I am a linguist, first an undergraduate and now a graduate student in the Department of Linguistics. I spend every summer documenting and describing indigenous languages of lowland Peru and studying various aspects of the history of the individuals who speak those languages. I am also (and in no way secondarily) a musician. You will most often see me in the fourth seat of the French horn section, playing the low parts that have become a particular avocation of mine over the years. This is not always an easy life to balance, especially when orchestras go on tour, but the difficulty does not make it any less worthwhile. 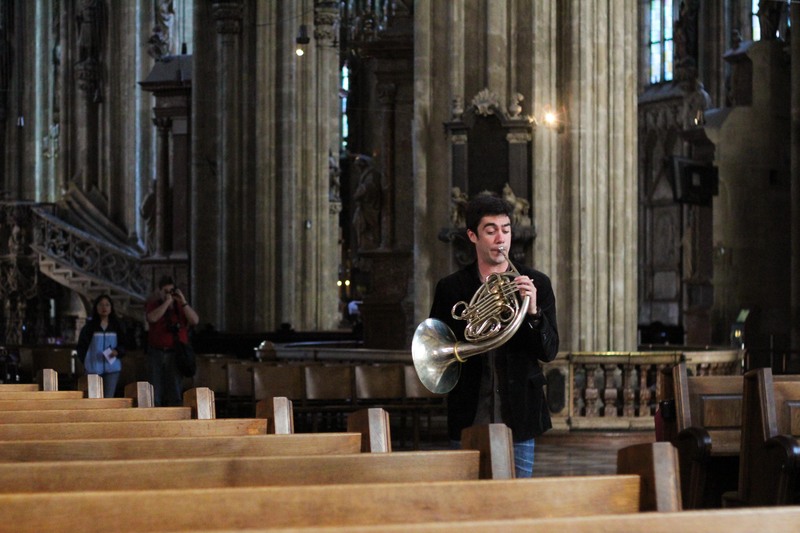 On May 29, with the UCBSO already in Prague, I left Belém with a French horn in one hand and a bag of books in the other, bound for Brasília, then São Paulo, then Munich (by air), and then Vienna (by train). In total I was awake and traveling for over 30 hours, so when I arrived at Meidling Station in Vienna, I naturally boarded the wrong metro line. Two stops later, at a transfer station, the doors opened, and directly across the platform stood a dozen of my friends in a train headed in the opposite direction. I felt like I was in a movie. We waved furiously at one another, and in my daze I motioned with my hands to deny their visual suggestions that I was on the wrong train and heading in the wrong direction. A stop later I arrived at my “destination”, in fact wholly in the wrong place and compelled to walk back most of the distance I had just traversed. 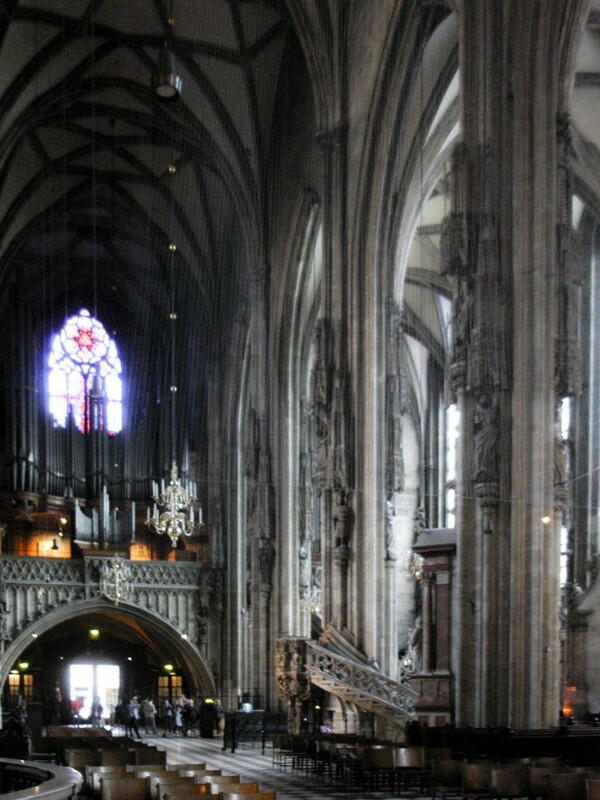 Having just arrived from Amazonian Brazil, our rehearsal at Stephansdom (St. Stephen’s) the following morning could not have been more stunning. The cathedral was consecrated in the XII century, at a time when the Omagua, a people among whom I have worked in Peru, were rapidly expanding upriver along the shores of the Amazon River in western Brazil. The cathedral is built on Roman ruins that date to the IV century, a time at which the languages of the Tupí-Guaraní family – to which Omagua belongs – were not sufficiently differentiated such that Omagua could even be termed a distinct language. The Germanic languages from this time, some of which would have been spoken in and around Vienna itself, are similarly unrecognizable to speakers of Germanic languages today (English, German, Danish, Norwegian, etc. ), and Germanic languages extinct today, like Gothic, were still spoken! All of these and similar contrasts were overlaid by the music of a XIX-century Frenchman, Camille Saint-Saëns, and occupied my thoughts for the entire morning and on into the rest of the afternoon. I thought: how fortunate I am to be able to move fluidly between such different environments and cultural traditions, to be able to access such disparate historical moments with only a few days’ separation, to be able to perform with an orchestra capable of creating such a rich sound in a space like this and making my life that much richer because of it. That evening’s performance, followed by a standing ovation that the audience walked up to the nave to give, certainly didn’t disappoint. My stay in Europe could be summed up in three mornings and, respectively, three words: cake, music, and beauty. I ate my way through the cakes of [Eastern] Europe. It began on our first full day in Prague when my partner and I took a morning amble and stumbled across a little French café. 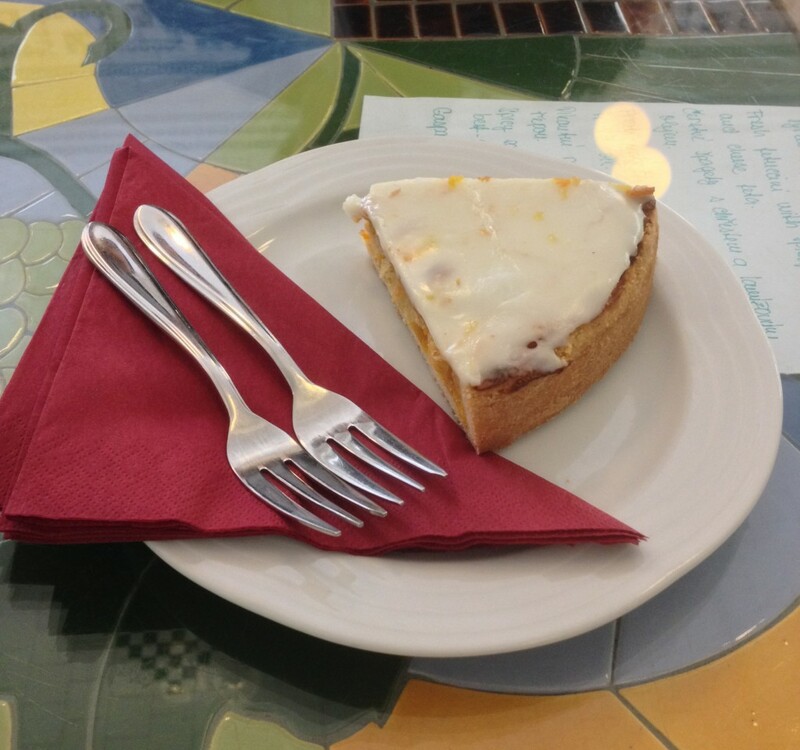 It was called Gourmand, a tiny thing tucked away from the Old Town Square that offered a delightful tarte d’orange that has since ruined my taste for American cakes. The tart was covered with a layer of hard frosting. Its inside was filled with a crisscrossed pattern of orange bits that gave the tart a citrusy tang, not at all the artificial orange cake flavor I had been expecting. Paired with a handmade mocha at a warm table, it was the perfect way to spend my first morning in Europe. Well done, Prague. Now I know why I was in love with Europe even before I stepped foot onto this continent. It was our first sunny morning in Europe thus far. After an intermittently rainy stay in Prague, I couldn’t help but wish that I could spend rehearsal time outside, watching the city wake up. Vienna had been stunning last night with its bright city lights and designer stores, but I wanted to see it in the relative quiet when all the hustle and bustle of the people hadn’t warmed up yet. I apologize, Vienna. There really wasn’t anything to complain about (although I was painfully aware of my tailbone after only an hour of rehearsal) what with the stained glass windows of St. Stephen’s Cathedral behind me as the sun rose above the roofs of the city buildings. The early morning sunlight bathing my music through the panes of blue, green, purple, and red glass could only be described as ethereal. It was nothing like the gorgeous, but heavy colors of the churches in Prague, where the buildings had to be lit up with hanging fixtures. The cathedral felt light, it felt hopeful. When the first notes of the organ sounded soft and deep like they were rising from somewhere almost too low for your ear to hear in this air, I felt like crying. Europe, its cities, and its culture were stunning. But this was breathtaking. While the orchestra stayed up until their 2:30AM call time for the journey home on this last morning in Europe, I managed to catch two hours of sleep before my 6AM train to Salzburg. It was about 4:30AM when I woke up completely cranky. In these half-awake moments of sleepiness, I decided that the only way to ease the process was to keep the lights off and let the soft lights of the city below help reintroduce me into the world of the living. Even though the open curtains barely illuminated the room, gazing out at the slowly waking cityscape woke me up immediately. The sky was a deep, warm navy blue, the shade of blue that I like to call “my kind of blue” because I’m very particular about my favorite color. It faded down to a sweet reddish pink, one that dusted the clouds hanging above the horizon with shades of pale blue and gold. I threw the window open, disregarding the chill that flooded the room. I wasn’t about to watch Budapest wake up from behind a window. I could see street lamps, like the ones separating the closet from Narnia, dotting the view beneath me. Parliament was lit up, far in the distance. I started shivering a couple minutes later, but kept the window open. I still minded the 6AM train, but only because it meant I would have to leave my post at the window and miss the sunrise. 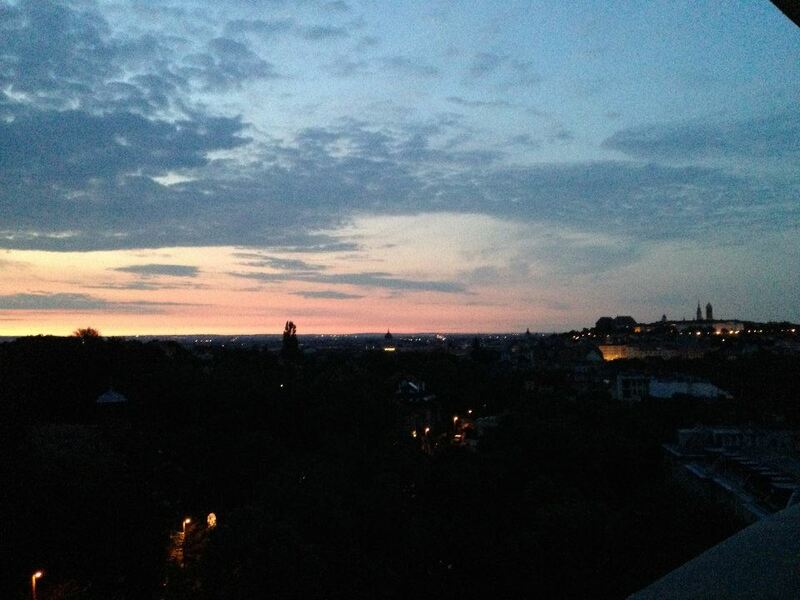 Thank you, Budapest, for this beautiful, once-in-a-lifetime view. I will come back for you soon. Click the title strip to minimize the page contents and view the background photograph!